Achieve supply chain excellence for our customers – North American manufacturers, retailers, and distributors – as the premier provider of managed transportation, consulting & TMS solutions; and intermodal, truck brokerage, and cross-border trade services. Exceed customer expectations through superior quality and value. Our assets are people, proven processes, proprietary technology and scale. Transplace is a non-asset based logistics services provider offering manufacturers, retailers, chemical and consumer packaged goods companies the optimal blend of logistics technology and transportation management services. We are recognized among the elite 3PLs for our proven ability to deliver both rapid return on investment and consistent value to a customer base ranging from mid-market shippers to Fortune 500 companies. With operations centers located throughout North America, Transplace delivers integrated solutions tailored to meet in-country and cross-border supply chain needs. Transplace offers flexible and customizable managed transportation services that optimize our customers’ supply chain and help them outperform their competition. Shippers of all sizes choose Transplace for the convenience of having a single transportation partner that can support the unique and changing needs of their business and alleviate the administrative burdens of transportation management. 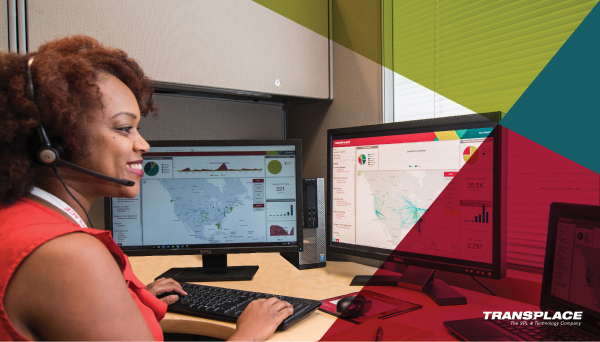 Whether you are looking for a completely outsourced solution, Software as a Service (SaaS) technology, or something in between – Transplace can provide a customized business solution to fit your needs. Our comprehensive capacity expertise allows us to leverage our entire network to solve large-scale, complex supply chain problems for every one of our customers. Whether domestically, cross-border, collaboratively or via intermodal transportation, we can create capacity solutions that deliver meaningful benefits to shippers throughout all of North America. Our experts can tap into our vast network in order to craft a solution tailored to each individual business, fusing together the best of our managed services and capacity solutions. Our goal is to push even further beyond a traditional brokerage solution to deliver a better transportation network to our customers. Rely on Transplace to help you navigate through the ever-changing regulatory environment of crossborder and global transportation. Our compliance experts design strategic processes to help your business mitigate risk, reduce supply-chain costs and get the visibility you need for your logistics operations.